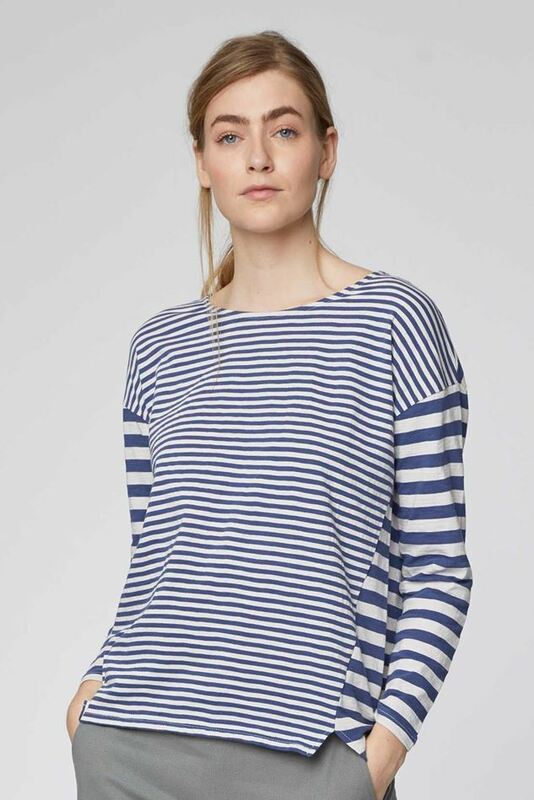 In Thought's organic cotton slub material, this striped jersey top is breathable and soft, available in two colourways. 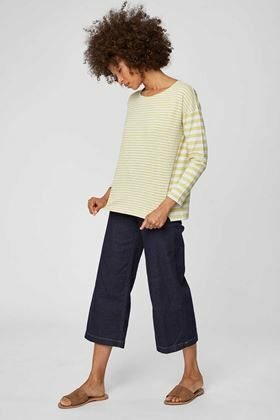 In an oversized fit it has comfortable dropped shoulders, panel detailing and comes in their much loved yarn dye stripe. In Thought's organic cotton slub material, this striped jersey top is breathable and soft, available in two colourways. In an oversized fit it has comfortable dropped shoulders, panel detailing and comes in their much loved yarn dye stripe. Wear this organic cotton top with jeans and flat shoes for an easy daytime style.